It's been fun to watch our lead pastor in action in the mission field. 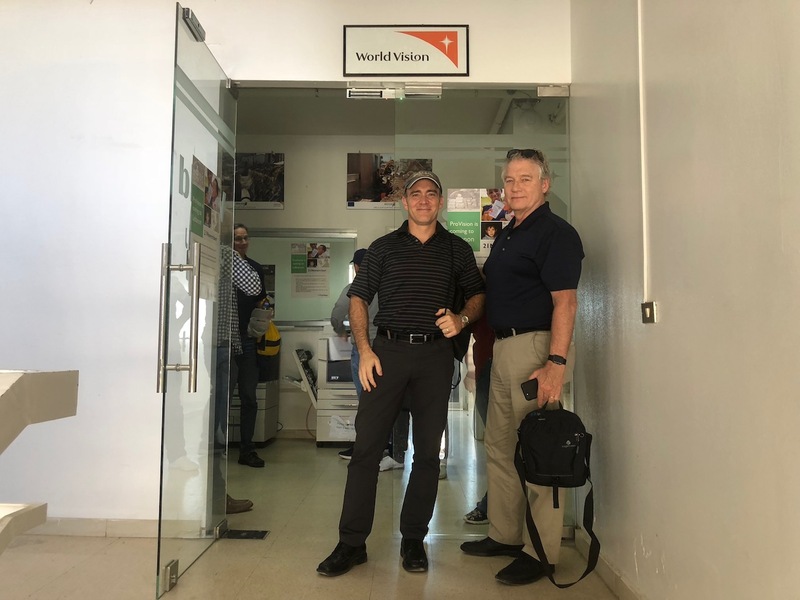 Mark has been eager to learn, attentively listening to World Vision staffers as well as refugees and church workers ministering to refugees. He takes careful notes, either on his phone or laptop. If it seems prudent just to listen without taking notes, he jots down reminders in the vehicle when we finish a session. He'll ask us to help him remember a name or factoid, then add it to his notes. The stories we hear run the gamut from heart-rending ("I escaped Syria after my baby twin boys were gassed to death, so that I could save the rest of my family") to miraculous ("We came to this church to learn about Jesus, because He kept appearing to us as we crossed from Syria into Lebanon") to encouraging ("World Vision has a plan to help and it works"). Mark's energy and focus are remarkable. I expected him to be a little depleted because he jumped on a plane just after completing stewardship season. And maybe a little shell-shocked on his first trip to the Middle East. Not at all. He has been engaged, alert, productive. We are looking forward to sharing what we are learning and what it could mean for our congregation as we partner with Christ, Who loves refugees and refugee-hosts in Lebanon. So great to have these updates from the field ! Looking forward to hearing much more from the LG3 team- prayers for travel mercies to continue on your journey home. Godspeed !